As the years have gone by, we’ve had the joy of witnessing the video game industry evolve and grow into the huge platform it is today. 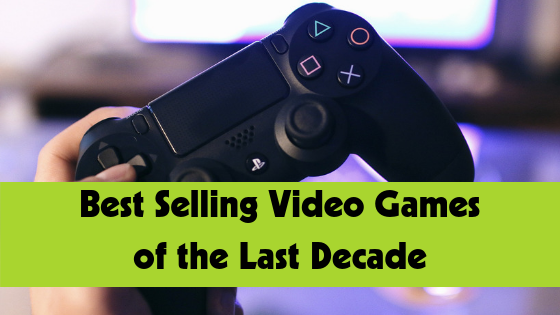 While there will always be some debate and subjective opinions on what the golden era of video gaming history was, sales numbers don’t lie. That’s why GameTruck San Jose has compiled a list of the best-selling video games of the last decade. Do you think your favorite will make the list? Let’s find out! Perhaps the reason for this game is so popular is because it was released on so many platforms – in fact, there’s a running joke in the gamer community that the makers of the game will just continue releasing it on new platforms instead of ever creating a sequel. Regardless of how it made so many sales, this exciting game has reached an impressive 30 million units sold since its release just over seven years ago in 2011. Though it ties in sales with The Elder Scrolls, Diablo 3 was released six months after, meaning it reached higher sales in less time, what a feat! While Diablo 3 didn’t have the smoothest launch, it did manage to recover from its shaky start. After its rough start, developers called out to its unhappy players to see what they could do to improve the game. 30 million copies sold later, applying the constructive criticism certainly worked. Not only did Overwatch manage to sell over five million copies more than the previous two entries on this list, but it also managed to do so in a fraction of the time! Released only a few years ago, this sensational game is available on multiple platforms. Pick your favorite console and find out what all the buzz is about! Choose your character wisely though… I’m already Tracer. Perhaps one of the most iconic video game series of all time, it’s no wonder how Grand Theft Auto V managed to sell 90 million copies in five and a half years. The game is available on multiple platforms, and even has an online multi-player version which has certainly helped to keep its popularity alive. It’s amazing how popular a game that is essentially playing with legos virtually can become, but Minecraft did it. With over 144 million copies sold since its release in 2011, Minecraft has become so iconic that even non-gamers have heard of it! On the flip side, it’s amazing to see the incredible creations that the truly dedicated have managed to create. Minecraft’s simple premise and broad appeal is the reason it has become the top-selling video game of the last decade. Play These and More at Your Next GameTruck Party! Want to experience these games and find out what has made them so popular? Give us a call at (866) 253-3191 or contact us online to schedule your next video game party! We’ll come to your house, set up our video game truck, and give you the best birthday party, school event, church event, or family reunion you’ve ever had!